The Congress on Saturday accused the Modi government of "squandering" the assets of public sector undertakings such as HAL and ONGC to "favour a select few". "HAL is borrowing Rs 1000 cr because it can't even pay salaries?" 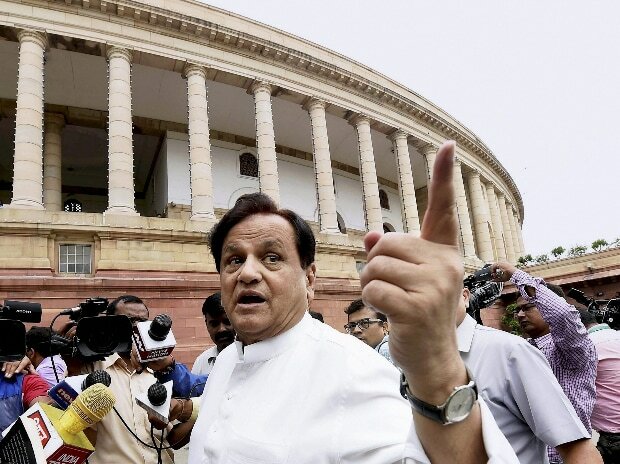 Senior Congress leader Ahmed Patel tweeted. "Not just HAL; be it ONGC, LIC, HPCL,GSPC or any other PSU, this government has squandered their assets to favour a select few," Patel alleged. Citing the media report, Congress' chief spokesperson Randeep Surjewala said, "Under Modiji,India's largest public sector defence unit, HAL does not even have enough cash to pay salaries to its employees. For the first time in 70 years, they were forced to borrow Rs 1000 cr." "Despite that, no Rafale contract for them Apathetic! "he tweeted. The Congress has also been alleging that the government favoured Anil Ambani's firm over HAL in the Rafale jets deal. The government as well as Ambani have rejected all such allegations.